The interest is being charged by the Department on gross tax liability which is the output tax and tax payable on reverse charge mechanism without deducting any input tax credit i.e. net tax liability. Many taxpayers are getting notices from the GST Department regarding late filing of return. 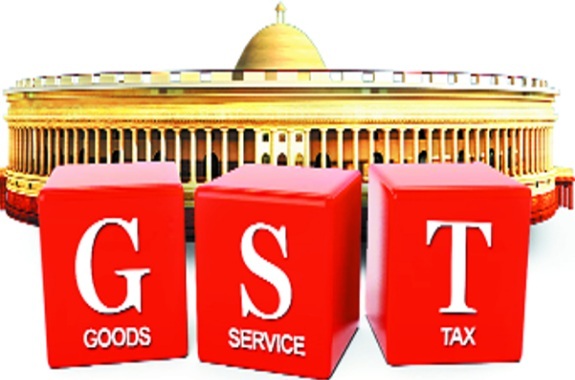 The GST Department is adding interest liability and charging a heavy penalty on the same. The problem with such interest lies with the amount on which the Department is calculating it. The amount available in the electronic cash ledger may be used for making any payment towards tax, interest, penalty, fees or any other amount payable under the provisions of this Act or the rules made thereunder. The amount available in the electronic credit ledger may be used for making any payment towards output tax under this Act or under the Integrated Goods and Services Tax Act. As per Section 49 of CGST Act, 2017, Every deposit made towards tax, interest, penalty, fee or any other amount by a person by internet banking or by using credit or debit cards or NEFT or RTGS or by such other mode and subject to such conditions and restrictions as may be prescribed, shall be credited to the electronic cash ledger of such person to be maintained in such manner as may be prescribed. Here the Act talks only about deposit made to the cash ledger so this cannot be construed as payment. The input tax credit as self-assessed in the return of a registered person shall be credited to his electronic credit ledger, in accordance with section 41; Here amount credited to the electronic credit ledger is focussed on so this is also not payment. The fact that tax will not be considered as paid unless we offset the liability of such payment leads to this conclusion by the Department that interest should be paid on the gross tax liability. There is another side to the coin as well. This is the point of view of the taxpayers. Interest is compensatory in nature. It should not be punitive. There are various genuine reasons for which a taxpayer is unable to file his GST-3B within due date. The common ones may be technical glitches at the GSTN, lack of funds for making the payment due to non-collection from debtors, etc. In the present, competitive scenario businesses function on a very low profit margin. GST is a tax paid on value addition at each stage. Therefore if interest is charged on gross tax liability then owing to the low profit margin it might so happen that interest liability is higher than margin or consumes a significant portion of the same. Another point to be noted here is that the amount of input tax which will be claimed as a credit has already been paid to the Government by the pervious stage dealer. Even if the amount has not been paid by such dealer the Government would be charging interest from the dealer @ 18% p.a. So it can be said that Government is taking interest on the same amount from two persons. Now in an assumed situation if a particular transaction takes place in a chain of 5 persons without any value addition in any stage i.e. each person makes further sale at the same price at which he/she has received the goods and no profit element is present; in such a case if none of the taxpayers file their returns on time and going as per the notices being issued by the Department, interest would become receivable to Government on five times the gross output tax despite the fact that it is not supposed to receive any amount of tax. This situation is similar to a case where we do not have any loan asset in our books of accounts but we are receiving interest. Although in this case the Government should not be receiving any cash inflow nevertheless interest on 5*12 = 60 is being collected by it. The above scenario is unjustified for the taxpayer. However challenging the notices is like challenging the Act itself. Therefore any reply to such notices shall be made prudently. Another angle to observe will be the way out taxpayers will now try to find in this loophole. A practice taxpayers would now indulge in to ensure timely filing of returns provided lack of availability of funds would be declaring an output tax equal to ITC available only. This would ensure that returns are filed on time without any cash outflow. Is this what the Act or the Government wants to promote?